Coach Parnell enters his 8th year coaching football, and his third with the Spartans. 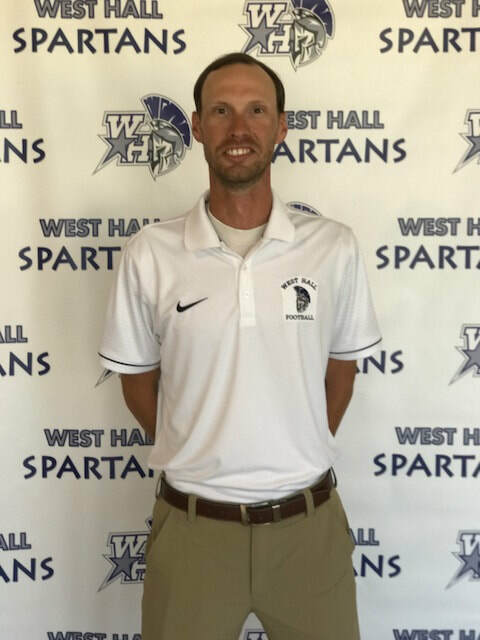 The last three years Coach Parnell has been at Luella High School in Locust Grove, GA. During his time there, he was the QB Coach, JV Offensive Coordinator, and also progressed to a Varsity Co – Offensive Coordinator role his last year there. While there, the Lions advanced to the AAAAAA state playoffs in 2013. He also helped lead the offense to school records for rushing yards in a season and total offensive yards in a game during the 2015 season. Coach Parnell also served as the Head Boys and Girls Track and Field Coach for the 2014 and 2015 track seasons. In 2014 he had 3 individuals advance to the Georgia Olympics. In 2015 he led a 4x100 team and 110 and 300 hurdler to the state track meet. The hurdler also broke the Luella High School record in the 300 hurdles. Before his time at Luella, Coach Parnell spent time at B. B. Comer High School in Sylacauga, AL where he taught math and coached football and track as an assistant. He earned his Bachelor’s Degree from Troy University in Math with a minor in Psychology. He also competed athletically for three seasons for the Trojan track and field team, running the 400 Hurdles. His last two years as a Trojan, he served as an offensive student assistant under then Head Coach Larry Blakeney. At West Hall, Coach Parnell will be teaching Coordinate Algebra during the school day. He will be coaching the Running Backs for the football team and will also be the Head Boys Track and Field Coach in the spring.